As of 2018, our Invisalign treatment with our certified and licensed doctor in Plantation and Fort Lauderdale is the best value with affordable fees starting at $2,800, low monthly payment plans starting at $99, great service, all major insurance taken and exceptional smile results. Forget everything you’ve heard about teeth straightening. Now there’s breakthrough technology that lets you get the smile you always wanted without bands, metal brackets, and wires. We offer complimentary Invisalign consultation including our wonderful and highly customize Invisalign before and after instant simulator of your teeth alignment and smile. In this way, you would know what to expect from Invisalign treatment even before you make the decision to get Invisalign. We have a way to protect your Invisalign cost investment because predicting the way teeth may stay after treatment is completed can be challenging. Occasionally teeth might not stay in quite the right position, or sometimes a year or two after treatment teeth may shift. When this happens, we are here for you. As part of our "Invisalign Limited Guarantee", we are pleased to offer you additional aligners at no charge for up to 3 years after treatment for selected invisalign cases. Invisalign is a system of clear, removable orthodontic trays that move your teeth comfortably and invisibly. This predictable clear braces method of Invisalign is time tested with over 4,000,000 patients and counting. The patients cannot see this set of clear braces in their mouth so no one will know they are improving their smile and oral health. 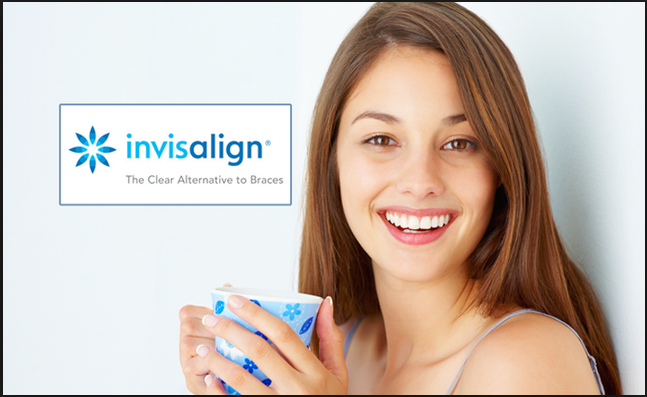 Invisalign is removable so patients can eat what they want and clean their teeth normally as well. 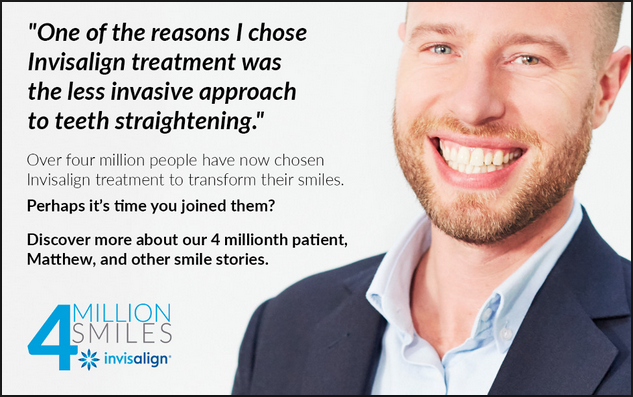 Our Invisalign in Plantation trained doctor have achieved a significant level of experience in treating patients with the Invisalign system since 2004. In addition, as of 2018 our doctors have distinguished themselves with even higher experience and recognized as preferred providers in the city of Plantation and Fort Lauderdale. A typical Invisalign case takes about a year from start to finish. In certain clinical cases, Invisalign is faster, in part, because it requires only a few check-up visits a year. 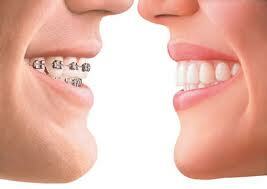 Traditional regular braces, on the other hand, uses metal wires requiring frequent adjustments about every 4-5 weeks. These regular braces check up appointments are to replace worn-out rubber bands, make adjustments to the wires to make sure teeth are being pulled in the right direction, cutting the wires that may be irritating the cheek and lips, etc. Missing these braces check up appointments can cause the movement of teeth to plateau over time, and ultimately increase the amount of time the patient has to wear braces since the orthodontist wouldn't be able to do timely adjustments. When the patient misses a follow-up visit teeth can be moving in a way that they shouldn't be, and the orthodontist wouldn't be able to catch it in time. The need for regular check-ups for your braces is to ensure if something is not moving the way it should, and needs to be corrected, it can be addressed in time before it progresses further and delays your treatment. Generally, the patient wants to stick to their regular braces check up the schedule as much as possible to ensure that the time and investment into their treatment are worthwhile and gives them the desired result. Invisalign takes less treatment time than braces. The patient sees the doctor about every two to three month or longer see how the teeth movement is progressing. Every few visits you’ll be given additional aligners to continue your treatment. Commonly, the number of aligners worn during treatment and duration of treatment will vary from case to case. 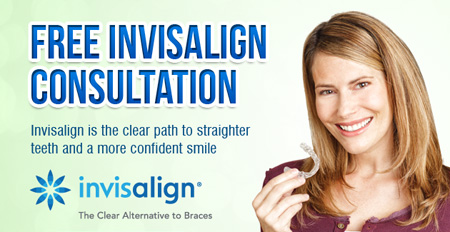 However, Invisalign has no adjustment visits, all the work of Invisalign is performed by the aligners. However, braces are efficient at fixing spacing tooth issues, and they often work faster at closing gaps between teeth. 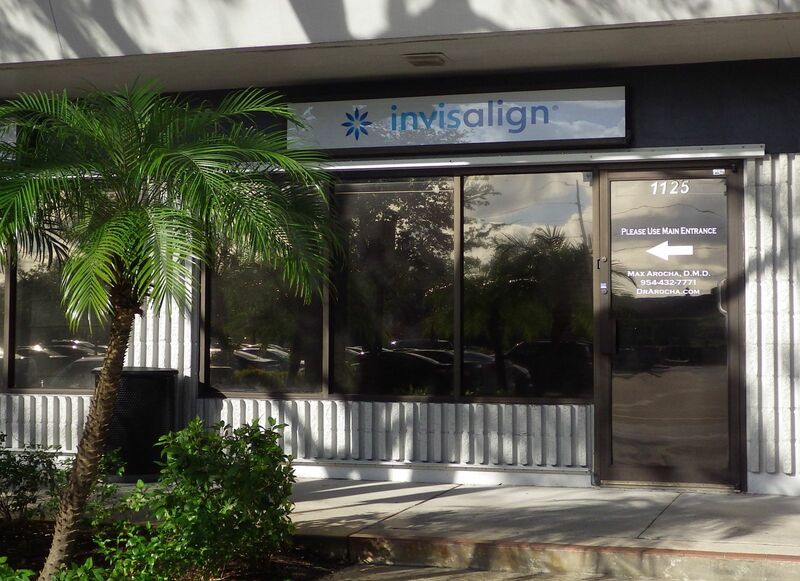 We receive a fair number of patients coming from Fort Lauderdale for Invisalign treatment. The Invisalign® process starts with a consultation. The doctor will discuss the Invisalign® treatment with you, taking the time to answer any questions you may have. When you both agree that Invisalign® offers the best solution digital images are taken of your mouth and feeding them into the Invisalign® proprietary software. The software will process the images and create a custom treatment plan tailored to your specific needs. The plan will outline everything from the number of aligners you will need to wear to the length of your treatment. The doctor will forward your treatment plan to an Invisalign® lab, where technicians will use it to create your aligners. When the lab returns your aligners to our office, you will return for another visit. The doctor will give you your first three sets of aligners, along with instructions for their use and care. Over the course of the treatment, most patients wear 20 to 25 sets of aligners for two weeks each. You must keep your aligners in your mouth for 21 to 23 hours a day to stay compliant with your treatment plan, removing them only for eating and cleaning your teeth. Failure to follow these parameters may result in a longer treatment time. The doctor will provide you with three sets of aligners at a time, and you will return every six weeks for a quick checkup and receive your next few sets of aligners. When you successfully complete your course of treatment the doctor will provide you with a retainer to wear. This retainer will help keep your teeth in their new places, so your beautiful new smile will last. Invisalign retainers are removable which allows you to brush and floss normally, helping to prevent tooth decay and gum disease. With Invisalign treatment, you can still eat what you want. Removable Invisalign retainers make you food decisions worry free. Properly aligned teeth are easier to brush and floss than teeth that are overcrowded, crooked or spaced too far apart. This means that Invisalign is going to promote the healthier, straighter smile you deserve! Contact us. We are just south of Pompano Beach to see if you are an ideal candidate for Invisalign clear braces. Make sure to mention our website to receive a complimentary teeth whitening upon starting your Invisalign treatment. We provide Invisalign service to the city of Fort Lauderdale, Plantation, Cooper City, Boca Raton, Weston, Hollywood, Sunrise, Pembroke Pines. Most of our Invisalign patients come from Broward county.